Comedy Central’s Impractical Jokers are bringing a brand new live show to The SSE Hydro! Santiago Sent Us! Santiago Sent Us! Comedy Central’s Impractical Jokers are bringing a brand new live show to Glasgow’s SSE Hydro on the 19th of March 2017! Yes, Q, Murr, Joe and Sal – aka The Tenderloins – will be performing a NEW BATCH of their special blend of comedy, hi-jinx, and never-before-seen videos on stage. 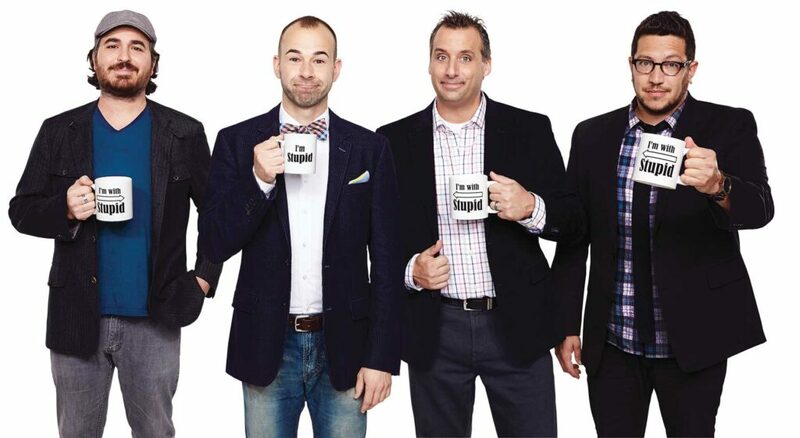 Impractical Jokers is in its 8th season and all new episodes can be found on Comedy Central Mondays at 10pm.